Greetings from Cologne, Germany. We had a marathon of a day at the art fair on Friday. For the weekend. 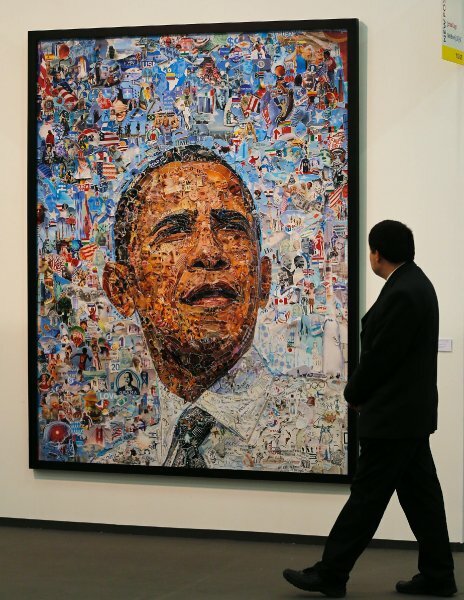 We leave you with the above picture; Barack Obama by Brasilian artist Vik Munez at Art Cologne.